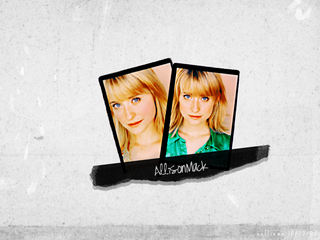 Fan Forum > TV Shows - Past > Smallville > Allison Mack | Chloe Sullivan #67: She deserves a grand exit! You're welcome. Do you have an idea for a new picture of the thread? 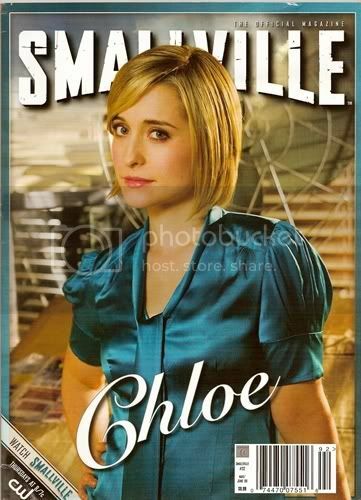 What about the season9 dvd cover art for the Chloe disk? I don't know any other current picture of Chloe/Allison. Have you seen one? I agree with Jette who said on the last thread that Chloe's final scene could be with JL members. I like that idea, because it represents where her life headed. I like the idea about using one of the new Hex stills. Any favorite? I like that idea, because it represents where her life headed. The last scene for a character is very important I think and should define what this person stand for on the show. And I do not see Chloe only as Clark's or Ollie's sidekick but as an hero on her own. I hope the writers consider that. I think the only why I would prefer a death scene over that is if Lex would be involved in it and I mean really involved not just demanding someone to kill her. Maybe one of the balcony stills?